Many people are worried that touching the poles or the stability handles or straps on buses and trains can expose you to a myriad of germs. Surprisingly enough, there hasn’t really been a lot of research on this issue, but I have to concede that there is at least some room for concern here. But hopefully, in the near future, we won’t have to worry about that. 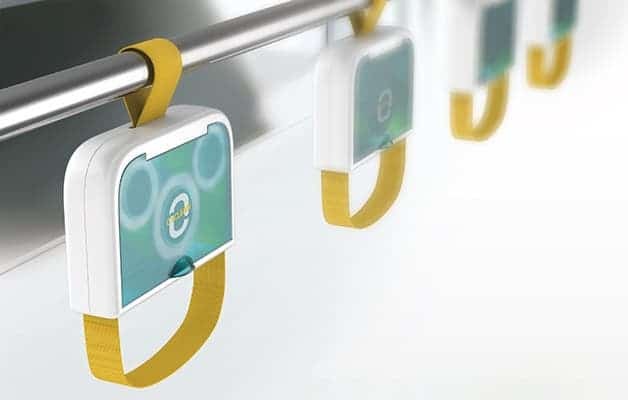 A group of young designers has invented a bus/train handle that can disinfect itself, solving one of public transportation’s biggest problems. Public transportation is cheap, environmentally friendly, and very efficient – especially if you live in urban areas. But with so many people cramped in one place and with the virtual impossibility of effectively disinfecting it, the potential for germ transfer is not to be underestimated. Cyclean, which recently won a 2014 Red Dot Design Award, reinvents the typical handle with a built-in cleaning function. “The handle strap can be rotated through a small plastic chamber that contains a rough sponge, a cleaning and disinfecting agent, and rollers. The handle strap can be cleaned by pulling down on one side of the loop to feed it into the chamber. 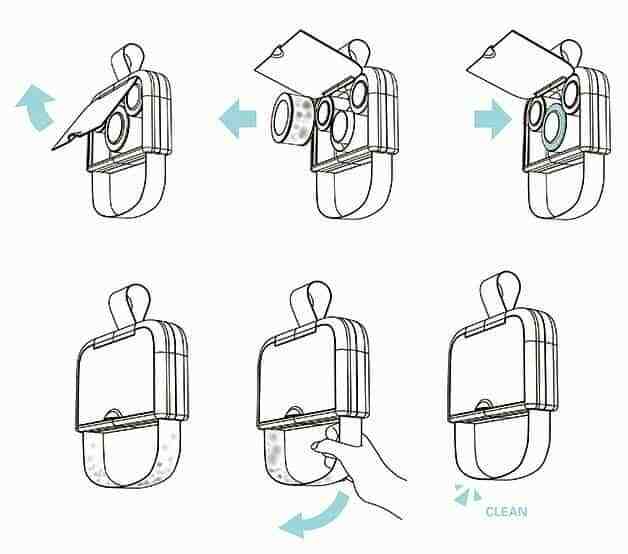 The rollers clean and disinfect the strap as it is fed through. The strap emerges from the chamber clean. The sponge can be replaced and the cleaning agent can be refilled.”, designers explain. Personally, I think this is a very interesting idea. I’m a big supporter of public transportation, and this idea protects public health, and unlike the use of disinfecting wipes, won’t create a ton of waste paper to throw away. What do you think, can this idea successfully be implemented ?